The historic hydrogen production facilities were much larger than existing ones, but that could change really fast. They were located in Norway because of the abundance of cheap hydro-power, combined with the scientific interest in heavy water for the nuclear industry and other more down-to-earth applications of industrial hydrogen. The main challenge is to improve efficiency from currently 80% into 9x%, reduce cost and increase output. All the signs are that the hydrogen economy could have a new lease on life. [pv-magazine.com] – Hydrogen, don’t give up! [source] Magnum power station, 8 billion euro, 1.3 GW, high efficiency (58%) natural gas power station that was built from 2009 in Eemshaven in the north of The Netherlands. A memorandum of understanding has been signed between Statoil, Vattenfall and Gasunie last month. The intention is to convert one of the existing three units of the Magnum power plant in Eemshaven into a facility where hydrogen rather than natural gas will be burned as of 2023. 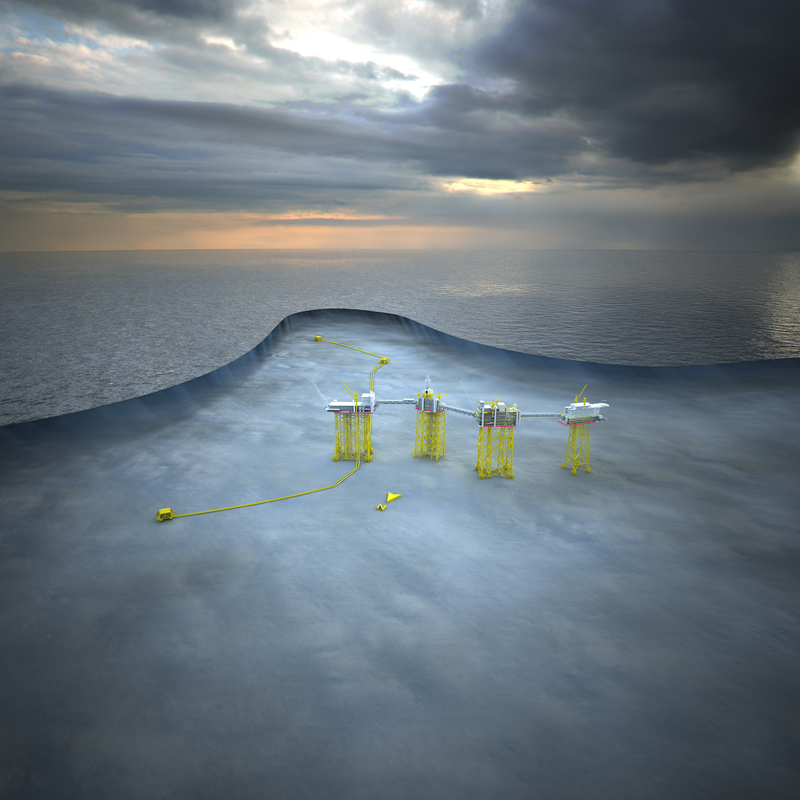 Statoil will produce the hydrogen from natural gas, but will store the resulting CO2 byproduct under ground. This will result in the first climate neutral hydrogen power station in the world (440 MW). Currently Norway is busy constructing a so-called CO2-vault of its west coast and likes to see the Dutch power station in Eemshaven as one of its first customers. The production of hydrogen from natural gas is merely a temporary solution and must be seen as a preparation for a later stage, when the hydrogen must come from the new offshore wind power stations in the neighboring North Sea, where electricity will be used in an electrolysis process to split water in hydrogen and oxygen. The hydrogen will be converted into ammonia for easier storage and eventually be burned at Magnum. Hence the description of the power station as an “ammonia battery“. Energy system: The infrastructure and processes that deliver power to end users and includes the electricity and gas supply networks, power generators (both large and centralised land small and decentralised) and other assets. Balancing: Regulation of energy production, storage and consumption in order to equalise the production and consumption at any time (e.g. by quick regulating gas power plants) to keep the electrical energy system secure. Back up: Energy production capacity which is in standby to react quickly when there is a difference in energy production and consumption e.g. because of fluctuating production of renewable energy sources like wind and solar energy. Storage: Small capacity storage and high power pumps (e.g. flywheels or batteries) capable for operating for minutes or hours, or larger capacity storage necessary for extended periods without production from renewable sources. Infrastructure (electricity grid): Smart grid infrastructures designed for both supply to customers as well as production of power within these grids. Hydrogen can be won from water and electrolysis, using renewable electricity. Hydrogen is explosive and needs to be stored at very low temperatures. 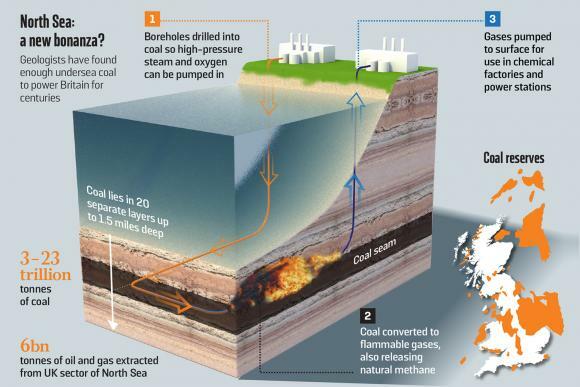 By mixing it with the superfluous greenhouse gas CO2 (an exothermic reaction, meaning you get extra heat), you get methane, which is far easier to handle. And you solve the storage problem. EU scientists are investigating if high pressure air, stored in empty mines and tunnels, could provide an alternative for pumped hydro storage in mountain basins. Currently pumped air storage efficiency merely reaches ca. 50%. The goal of the project is to substantially increase that efficiency to 70-80%. The trick is to not ignore the thermal losses accompanied with putting air under pressure, c.q. releasing it. [ethz.ch] – Pilot in Switzerland; expected efficiency 75%. Norway already has a fund of $840 billion ($160,000 / Norwegian). 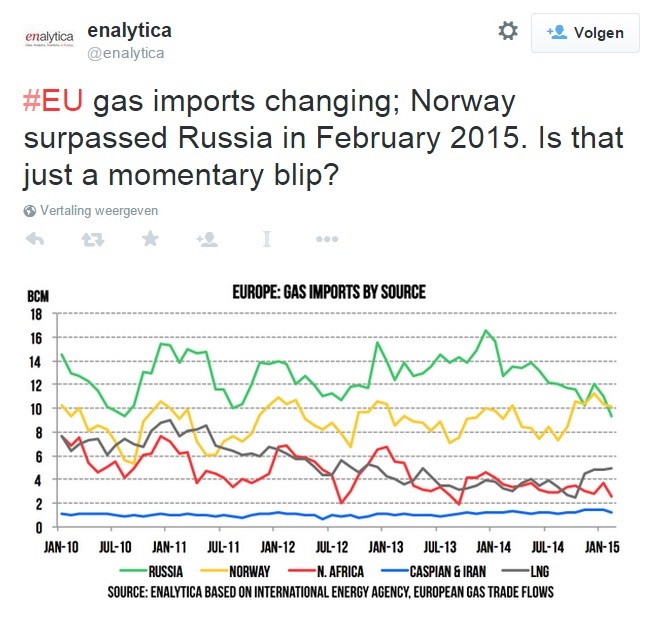 It is unlikely that Norway will join the EU any time soon. There can only be one energy strategy for Europe in a resource depleted future: the European supergrid, a pan-European infrastructure, consisting of renewable energy generation, mainly based on wind and solar and large scale hydro storage to filter out intermittent energy supply from said sources. 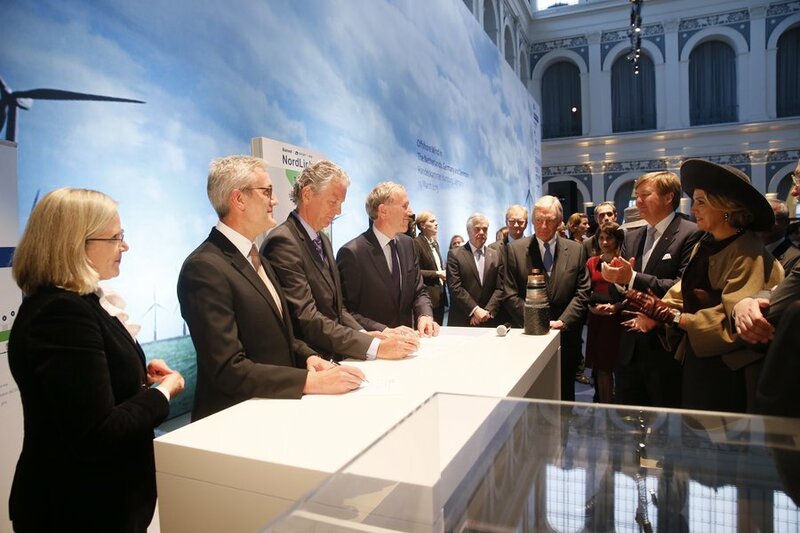 NorNed was a major step towards that integrated renewable European energy future. After 2020 slowly declining fossil fuel supplies from Russia need to be gradually replaced by this renewable infrastructure, probably combined with severe energy saving measures as well as rationing. 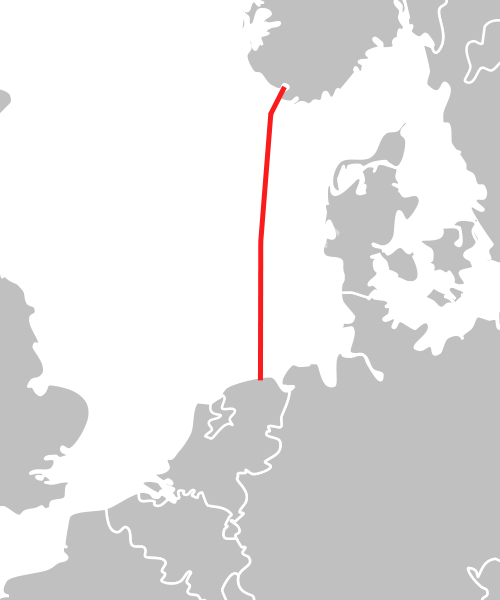 Wikipedia: NorNed is a 580-kilometre (360 mi) long HVDC submarine power cable between Feda in Norway and the seaport of Eemshaven in the Netherlands, which interconnects both countries’ electricity grids. It is the longest submarine power cable in the world. 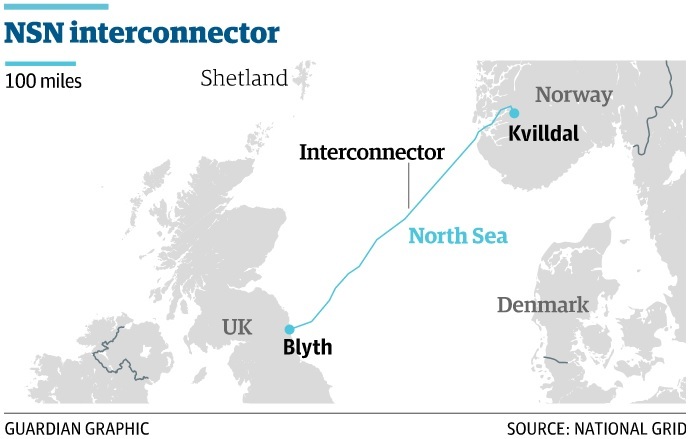 Budgeted at €550 million, and completed at a cost of €600m, the NorNed cable is a bipolar HVDC link with a voltage of ±450 kV and a capacity of 700 MW. NorNed is a joint project of the Norwegian transmission system operator Statnett and its Dutch counterpart TenneT… After two months of operation, the cable generated revenues of approximately € 50 million, meaning that in two months’ time, 8% of the total costs of the cable have been recovered. In the business case drawn up for the NorNed cable, annual revenues were estimated at €64 million. 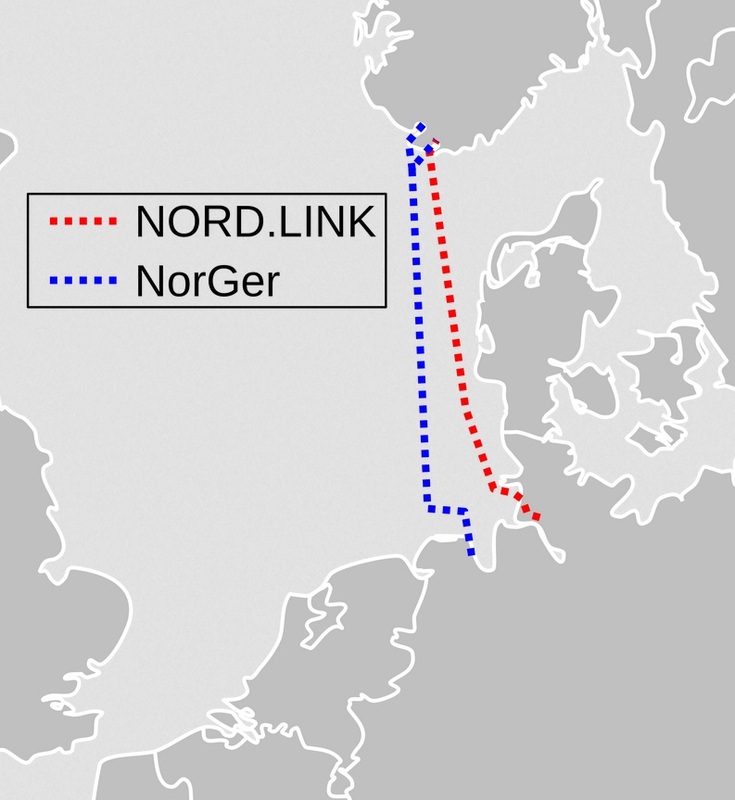 NorNed has been included in European Market Coupling Company operations as of 12 January 2011. Translated Dutch wikipedia: the cable is a big success; in 2008 (cable in use for merely eight months) 3000 GWh were imported by the Netherlands and 330 GWh were exported. 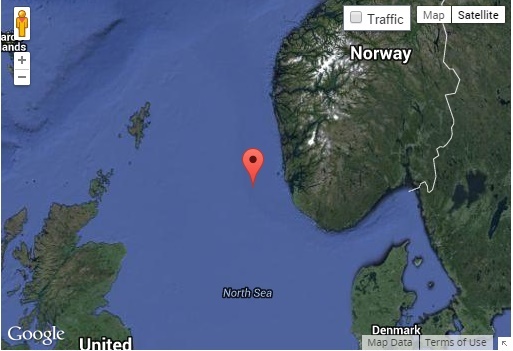 The cable is used to import cheap clean hydro electricity during the day from Norway. During the night cheap Dutch electricity is exported to spare reserves in the Norwegian hydro bassins or even to pump up water into the bassins. In this way the lakes are used to store energy that can be easily be reovered for times of peak demand.